Every day, Watch This offers staff recommendations inspired by the week’s new releases or premieres. This week: The Oscar-nominated Trumbo and the Coens’ ’50s-set Hollywood farce Hail, Caesar! have us thinking back on films by or featuring artists blacklisted during the Red Scare. All of Hollywood became entangled in the egregious activities of the U.S. Congressional House Un-American Activities Committee. But the despicable movement had many more martyrs past even the blacklisted Hollywood 10. The list of performers and creators put on Hollywood’s “no” list was much longer and spread wider, and included a brilliant actor who’s mostly forgotten today: John Garfield. Garfield was Brando before there was a Brando. He had started with New York’s experimental Group Theater with fellow heavyweights like Lee Strasberg, Frances Farmer, and Clifford Odets. He was an ambitious actor who greedily absorbed every part he was given, and had a rebellious spirit; he got written up on violations by the studio system 11 times in almost as many years. That spirit did Garfield no favors in his HUAC testimony; although his wife had been a Communist, Garfield was never one himself. But due to his testimony, Garfield was blacklisted regardless. By 1952, he and his wife had separated due to the stress of the blacklist, rumors predicted that HUAC was going to reopen his testimony on perjury charges, and he had no luck finding work. It is surmised that the combination of these stressful events led to Garfield’s death of a heart attack at the age of 39. His funeral was attended by thousands of grief-stricken fans, the largest funeral for an actor since Rudolph Valentino. But this stellar dialogue may even take a back seat to the movie’s subject matter, as Helen and Paul battle over a soundtrack of several flat-out amazing musical performances. Virtuoso Isaac Stern played Garfield’s violin parts, and stood next to him during filming so it looked exactly like Garfield was playing the instrument himself. Director Jean Negulesco used several tricks like this; he creatively montages Paul and Sid’s rise to fame, and nearly every cut from scene to scene has an audio transition (the sound of applause at a theater leading to the sound of crashing waves on a beach, for example). 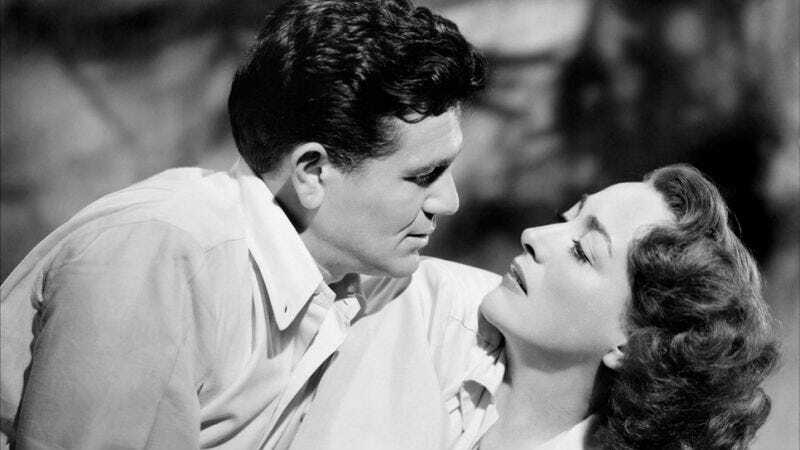 Humoresque’s excellent efforts across the board—direction, dialogue, soundtrack, performances—transcend what could have been a lame, soapy effort into a mid-century classic. Availability: Humoresque is available on DVD from Netflix and possibly your local video store/library. It can also be rented or purchased from the major digital services.